Take a look back as we remember the history of low top basketball sneakers. A few years back while interviewing an NBA player, who shall remain nameless, I asked him about his seeming bias towards playing low-tops. 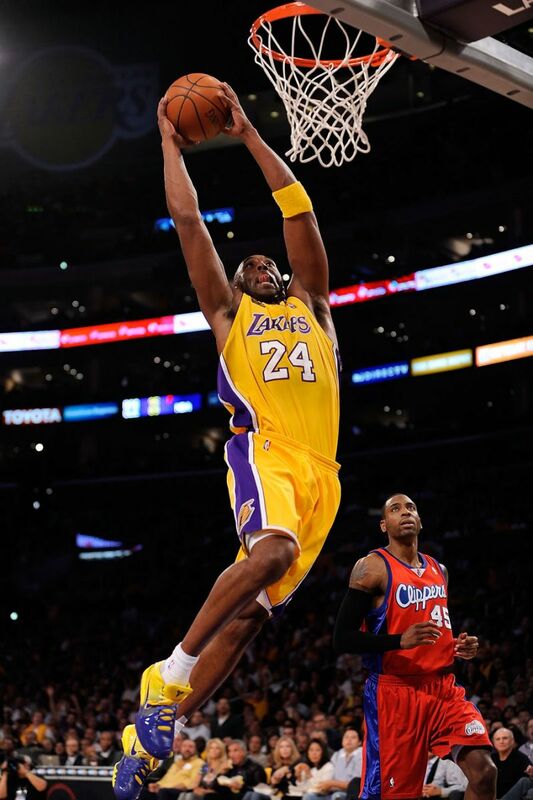 I’d watched him frequently wear shoes like Hyperdunk Lows, and various Kobes. So, when I asked him what it was about lows that he liked so much, I was shocked at this answer. I’d expected something standard about how he felt faster in them, or something along those lines. “Durability,” he instead replied. While low-tops don’t necessarily suffer from worse durability, the cut is obviously (to most of us at least) irrelevant as far as the shoe’s longevity. But that doesn’t mean they don’t offer some important potential advantages. The concept of a low-top basketball shoe offers a variety of different benefits in a world were high-tops traditionally have reigned supreme. For one, less material inherently means less weight. It also offers a greater range of motion. And as we’ve learned, ankle support comes more from controlling the heel. So, in theory, a properly designed low-top hoops shoe can offer a faster ride, with little – if any – compromise to safety. Despite these facts, the widespread adoption of low-tops for hoops has been a relatively recent phenomenon. And while it wasn’t the first, or even a true low-top, the current acceptance of lows is directly tied to the Zoom Kobe IV. Low tops in basketball didn’t start in 2009 however. Shoes like the Bruin have been around since the ‘70s. And don’t forget the iconic Air Force 1 Low, which recently celebrated its 30th birthday. By the mid-‘80s though, a more-is-more approach emerged. And for the next decade, hoops shoes added more material, more Air, and more gimmicks. They may have looked more protective, but in reality, they were just bigger and heavier. In the early 2000s, the focus began to shift. As designers and companies started getting after reducing weights, cuts naturally started to trend downward. 2001’s Jet Flight, while largely forgotten now, is notable not only because it was an outstanding on-court performer, but one of the first basketball-specific low-tops of its time. The Zoom Kobe IV may get all the credit, but it wasn’t even the first signature low-top of the current era. 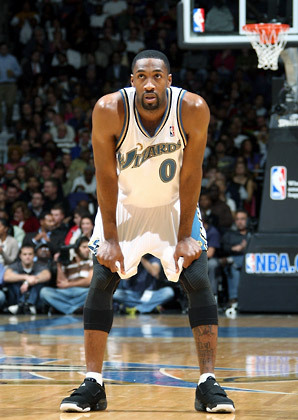 Gilbert Arenas may be best known these days for his off-court “issues,” but before injuries derailed his career, his low-top adidas Gil Zero was considered an exceptional performer, and one of the most popular adidas basketball shoes of its time. As good of a shoe as the Gil Zero may have been though, what the low-top movement really needed was star power. And that’s exactly what it got when Kobe not only got behind the movement, but won a title his first year wearing them. By the next season, seemingly at least one player on every NBA team, if not more, were playing in Kobes. And just like that, gyms across the country were suddenly flooded with players playing in lows. KDs. Hyperdunk Lows. CPs. Crazy Light Lows. From signature lines, to team models, staying relevant suddenly required chopped off collar. The high-top basketball shoe isn’t going anywhere. There are those players who like the proprioception found in a higher cut. And as advancements are made in materials and constructions, these high-tops can be made lighter and faster than ever before. But as players have discovered that a well-designed low can be just as safe for the court as a high, the chances of low-tops sticking have increased. Low-tops may not be any more durable, but with players looking for every advantage they can get, the speed advantages might be too much to pass up. Check out the following gallery, as we showcase some of the most important low-top hoops shoes, dating back over 30 years.